Product prices and availability are accurate as of 2019-04-24 20:48:07 UTC and are subject to change. Any price and availability information displayed on http://www.amazon.com/ at the time of purchase will apply to the purchase of this product. 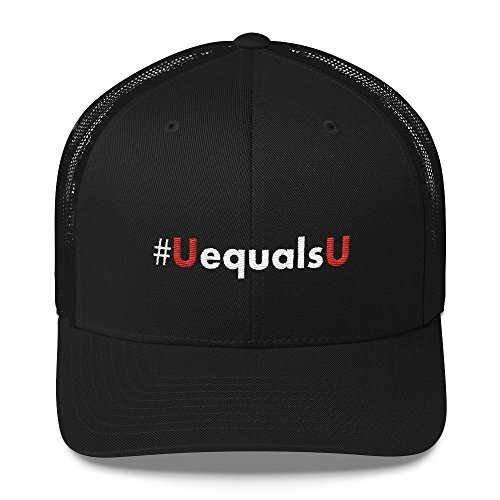 HIV Undetectable Equals Untransmittable Hat - Low Profile BLACK Unisex One Size Snap Back with Mesh backing, fits adult men and women heads with circumference 21 5/8" up to 23 5/8" CUSTOM MADE IN USA: Please allow 7 days for printing and HAND inspection. Exact placement varies slightly since each item is custom made. HIV AIDS AWARENESS EDUCATION: Bring awareness by wearing this hat to an HIV AIDS walk event. Made from 47% Cotton, 25% Polyester, and 28% nylon material with hard buckram structured front six-panel style and mesh back. Mid-profile 3.5" crown cap with a low-profile embroidery area, permacurv style visor with matching under-visor, and plastic adjustable size closure.